The book well written and was a very personal story. I definitely recommend this book for anyone looking for an edge. However, I strongly recommend this book to women. In this book there's a large section about being a woman leader in the work force and I think the ideas presented in this book will help any woman out there. I think every man should read that section as it will help men understand their biases in the work place and can help address them in a systemic way. 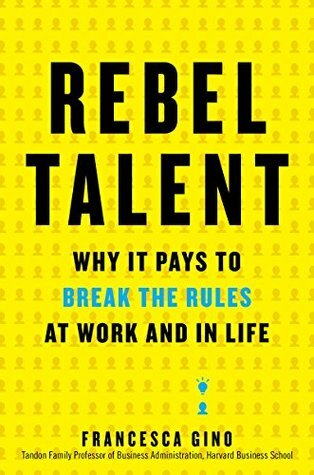 Sign into Goodreads to see if any of your friends have read Rebel Talent.